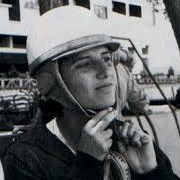 At the age of 22, de Filippis began her racing career. Two of her brothers told her that she would not be able to go very fast, goading her and making a bet that she would be slow. She won her first race, driving a Fiat 500 on a 10 km drive between Salerno and Cava de’ Tirreni. She went on to drive in the Italian sports car championship, finishing second in the 1954 season. Seeing her potential, Maserati brought her in as the works driver. De Filippis took part in various motor racing events, including hillclimbing and endurance racing, before being given the chance to drive in Formula One. She finished second in a sportscar race supporting the 1956 Naples Grand Prix, driving a Maserati 200S. The 1958 Belgian Grand Prix allowed all drivers to compete with no cut-off for a qualifying time. De Filippis qualified in last place, nearly 44 seconds off Tony Brooks’ pole position time. Although she was lapped twice in the 24 lap race she managed to finish, albeit in 10th and last place after nine other cars failed to finish. This would prove to be her only race finish. At the following race, the French Grand Prix at Reims-Gueux on 6 July 1958, de Fillipis was unable to compete. 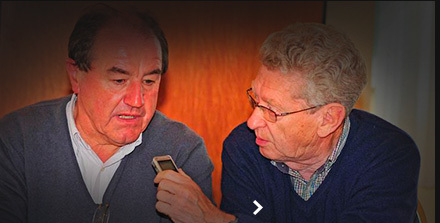 She claimed in her 2006 interview that the French race director said “The only helmet a woman should wear is the one at the hairdresser’s” and that he prevented her from taking part. 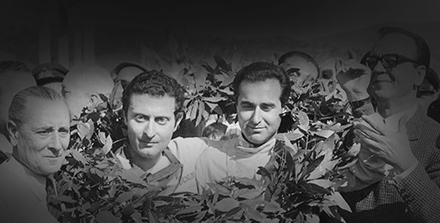 De Filippis had a poor result at the 1958 Portuguese Grand Prix in August. She qualified in last place, more than 15 seconds slower than the car ahead of her, and only lasted six laps before her engine failed. On 7 September 1958, she started her home Grand Prix at the Autodromo Nazionale Monza from last place. She completed 57 of the 70 laps before having to retire with engine problems. As the 14th and final retirement out of 21, she could be classified as finishing eighth. De Filippis joined the Behra-Porsche RSK team for 1959 but again failed to qualify at the Monaco Grand Prix. Her time of 1’47.8 was only three seconds off the lowest qualifying pace and a further one second behind team mate Wolfgang von Trips. 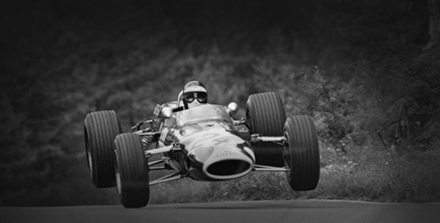 It was her final attempt at Grand Prix qualification, though she was still active in motor racing.